CSH LawResourcesEmployment LawNew Overtime Rules are Less Than a Month Away – Are You Ready? New Overtime Rules are Less Than a Month Away – Are You Ready? Unless you have had your head in the sand, you know that the U.S. Department of Labor (“DOL”) is changing the rules on overtime pay for executive, administrative, and professional employees. These changes are set to go into effect on December 1, 2016, so the countdown clock is ticking. As explained below, the changes will have a huge impact on how many businesses pay their employees. While it is possible that the recent election may have some impact on the implementation of the rule changes, the only safe course of action for employers is to proceed as if the changes will indeed take effect December 1st. What do the regulations currently require? The default rule is that employers are required to pay an overtime premium of 1.5 times the regular hourly rate to employees for every hour worked in excess of 40 in a given week. However, like any rule, there are exceptions. Certain executive employees, administrative employees, professional employees, and IT employees may be exempt from the FLSA’s overtime requirements, but only if they make a weekly salary of greater than $455. These are typically referred to as the “white collar” exemptions. An exception for highly compensated employees also exists. Employees who perform non-manual work, customarily perform at least one of the duties of an otherwise exempt employee, and receive annual compensation of $100,000 or more are usually not entitled to overtime pay. What are the coming changes? $100,000 isn’t as much money as it used to be. The regulation will change the amount an employee must make before being characterized as a highly compensated exempt employee from $100,000 annually to $134,000 annually. The reality is that, very soon, many employees who are currently classified as exempt will no longer meet the salary threshold for that classification. For those employees, employers will need to track hours and, when warranted, pay overtime. What options do employers have? Adjust hours so that employees do not work more than 40 in a week. An employee who works less than 40 hours in a week is simply not due overtime. So, an employee who loses exempt status but works less than 40 hours in a week will see no change in pay. Raise salaries. For employees who are on the cusp of the new salary thresholds, it might be more cost-effective to raise salaries so as to maintain exempt status than to pay overtime. Convert salaried employees to hourly employees, and pay overtime for hours over 40. This is the safest, and probably the easiest, method of tracking hours and paying overtime. Many employees, however, are less than thrilled to learn they’re being switched from salaried to hourly. Employers can help to “sell” the change to employees by explaining that it is as a result of new DOL regulations and by paying at an hourly rate that will have minimum impact the employees’ net pay. Continue paying a salary, but track hours and pay overtime in addition to the salary. The concepts of salary and overtime are not mutually exclusive. Salaried employees who lose their exemption can still receive a salary, but employers will need to track hours and pay overtime in addition to that salary. The overtime calculation in this instance can get tricky, but there are certain payment methods, such as the “fluctuating workweek” method, that can result in substantial savings to employers. For more information on how your business can comply with the coming regulation changes, contact Benton Toups at 910-777-6011 or btoups@cshlaw.com or Janelle Lyons at mlyons@cshlaw.com or (704) 940-3444. Benton Toups is Vice-Chair of the Employment Law Practice Group at CSH Law. He practices in the firm’s Wilmington office. 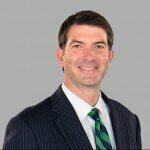 He has represented employers before the Equal Employment Opportunity Commission, the Department of Labor, the North Carolina Industrial Commission, and several state and federal courts. 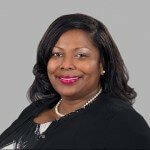 Janelle Lyons is a partner in the firm’s Charlotte office and focuses her practice in civil litigation.